Our organisation is involved in offering an extensive array of Conduit Locknut. 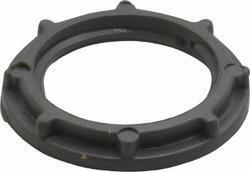 These nuts find their wide applications in a number of industrial purposes. It can be purchased in various grades and dimensions according to the demands and needs of our valued patrons. We are amongst the most reputed names in the industry, offering Conduit Locknut. 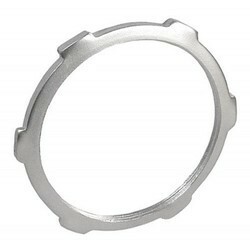 Banking on our enriched industry experience, we are able to supply Conduit Locknut. We are a top-notch organization, engaged in providing Conduit Locknut. This range of lock nuts is designed with higher precision using superior quality raw materials like brass, aluminum and galvanized steel. These are available in metric, imperial, NPT, BSPT, BSP, & PG standards and are used in fastening glands to the gland plate. We offer these nuts at most reasonable price. From our wide consignment, we are affianced in supplying Conduit Locknut. Arya Crafts & Engineering Pvt. Ltd.
For secure tightening of cable glands and accessories.